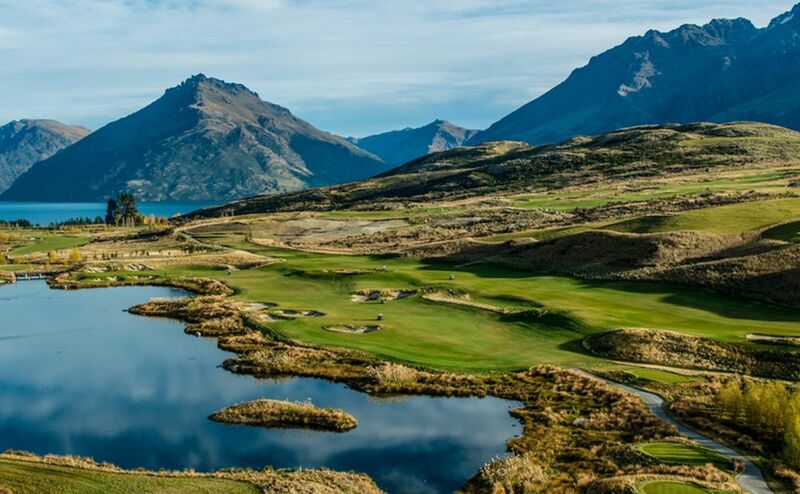 Queenstown – one of New Zealand’s most spectacular destinations renowned for adventure sports, and breathtaking scenery, is now also becoming one of the most travelled-to golf destinations in the world. Home to a stunning array of golf courses, and so close to Australian shorelines, Queenstown is a particularly sought-after destination with Australian golf travellers. With a total of seven golf courses within a 45-minute radius of Queenstown’s centre, this beautiful town is set amongst panoramic views of Lake Wakatipu and the famous Remarkables mountain range. Start your golf holiday by teeing off at Millbrook. A luxury golf resort just 20 minutes from Queenstown, Millbrook is set on 500 acres and features a 27-hole Championship golf course. Millbrook is a co-host of the ISPS Handa New Zealand Open and is accompanied by first-class resort facilities, including award winning restaurants and a variety of accommodations suited to individual travellers, couples and large groups alike. Continue your NZ Open golfing trail with a game at The Hills Golf Club. Famously known as Sir Michael Hill’s private world class championship golf course, and also host to the NZ Open, enjoy unparalleled levels of service in an exclusive environment. When you’re not playing a round, avail yourself of the practice facilities and the finest clubhouse hospitality, and admire the unique sculptures strategically placed throughout the grounds. 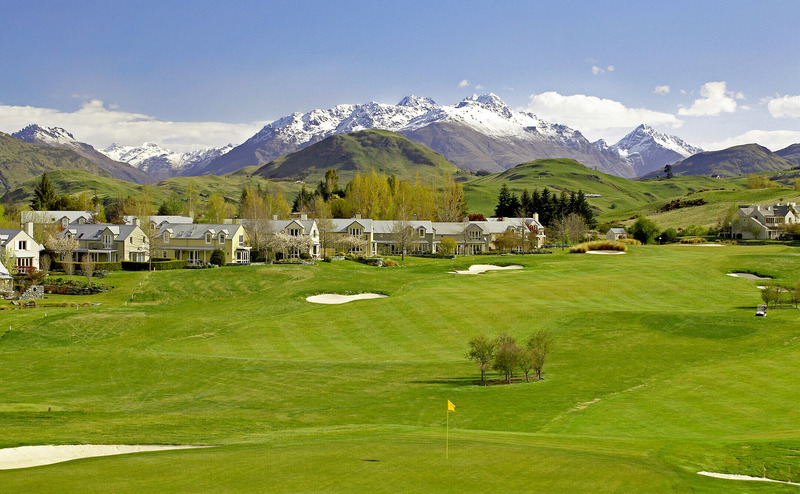 Less than 5kms away is Arrowtown Golf Club - one of the most popular golf courses in New Zealand. The front nine is very tight, weaving through canyons and rock formations, making it hugely enjoyable for golfers of all abilities. Course management is key and there can be some extremely challenging shots if you stray off the fairways. The back nine is wider and built over gently undulating terrain where you can really take in the majesty of the surrounding mountains. And then we have Jack’s Point. Ranked No.2 in New Zealand (Golf Digest), Jack’s Point is one of the country’s most visually spectacular golf courses. With a view that features a backdrop of over 2300 vertical metres of the Remarkables mountain range and stunning lake panoramas, Jack's Point is breathtaking. As a par 72 Championship Course, it offers an exciting challenge with five tee positions to choose from, providing all level of golfers with an unforgettable golf experience. Queenstown has a huge range of accommodation to suit every age, style and budget. Most being centrally located and within a short stroll to the many cafes, bars and restaurants in the area. From award winning lodges & retreats that show off stunning alpine views, to serviced apartments and villas offering groups a self-catering option – Queenstown has something for all golf travellers. Non-golfing activities available to you in Queenstown include taking a road trip to the famous Milford Sound; wine tastings where you can enjoy some of the region's (and indeed the World’s!) most exquisite wines; a cruise across Lake Wakatipu at sunset; or a scenic flight soaring above the mountains; a gondola ride to the top of a mountain where panoramic views await you … and we haven’t even touched on the infamous adrenaline attractions on offer! 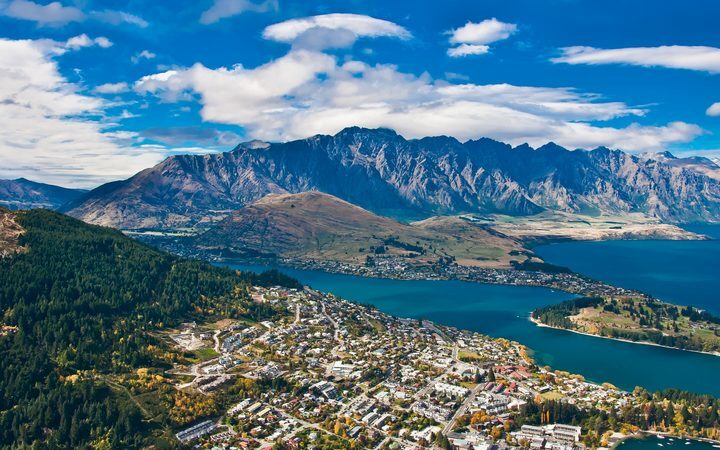 Whichever you choose, you can undoubtably see Queenstown from a new perspective every time you visit. The perfect destination for golfing groups, pairing championship level golf and a full travel experience like no other. And it’s right on your doorstep! The Golf Travel Agency can assist in putting together the perfect golfing itinerary for you to experience Queenstown at its best. Visit our New Zealand Golf Holidays page and find some inspiration for you next golf holiday!